Summary: Students in a Bais Yaakov school, apparently in Bialystok. Studio photograph by Rendel L. The woman in the white shirt in the middle of the front row may be Gutta Sternbuch. Document Location: Ghetto Fighters House Archive. Item #30431. 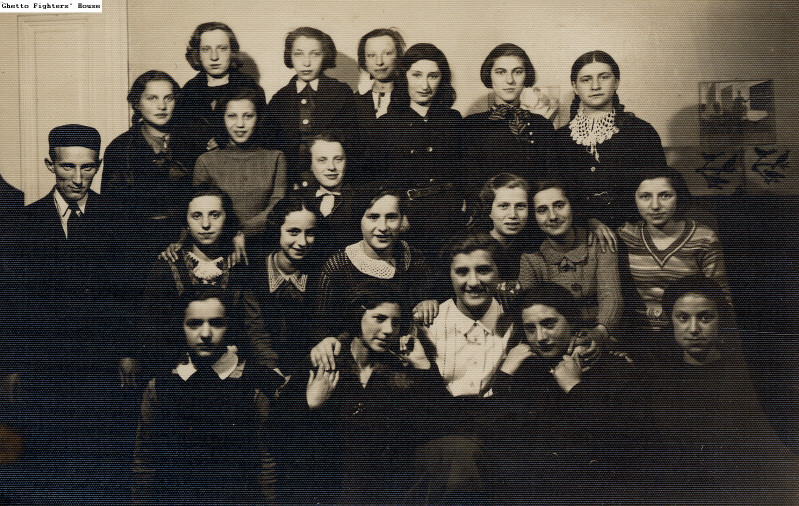 The woman in the white shirt in the middle of the front row is Gutta Eisenzweig (Sternbuch).